We introduce a notion of semiclassical bi-states. They arise from pairs of eigenstates corresponding to tunnel-split eigenlevels and generate 2-level subsystems in a given quantum system. As an example, we consider the planar Penning trap with rectangular electrodes assuming the 3: (−1) resonance regime of the charge dynamics. 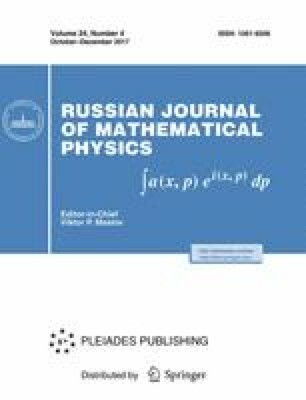 We demonstrate that, under a small deviation of the rectangular shape of electrodes from the square shape (symmetry breaking), there appear instanton pseudoparticles, semiclassical bi-states, and 2-level subsystems in such a quantum trap. This work was supported by the Russian Foundation for Basic Research, grant no. 15-01-08751-a.